At Forge Arts, we are able to provide tuition for individuals or small groups in a wide range of drawing, painting and printmaking activities. 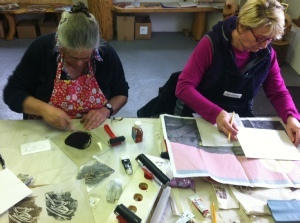 We specialise in providing bespoke courses for students of all ages, abilities and levels ranging from taster sessions for beginners, GCSE and A Level for students wanting to gain further experience to senior citizens taking up art in their retirement. Courses are tailored to suit your needs ranging from half day sessions to regular day or evening classes. Forge Arts staff provide demonstrations, talks and lectures as well as workshops for schools and art groups. Studio visits are also available by prior appointment. Our courses are run by fully qualified, experienced tutors who have many years experience of working with adults and children. Click here to contact us for details or to discuss your individual requirements. Courses are available in a wide range of media including painting, drawing and printmaking. 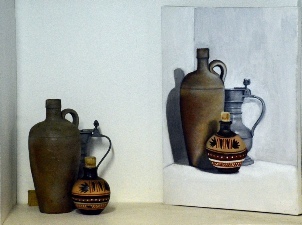 Work in watercolour, oil, acrylics, pastel, ink, charcoal coloured pencil oe mixed media. As well as improving your skills you will be encouraged to develop your own ideas.